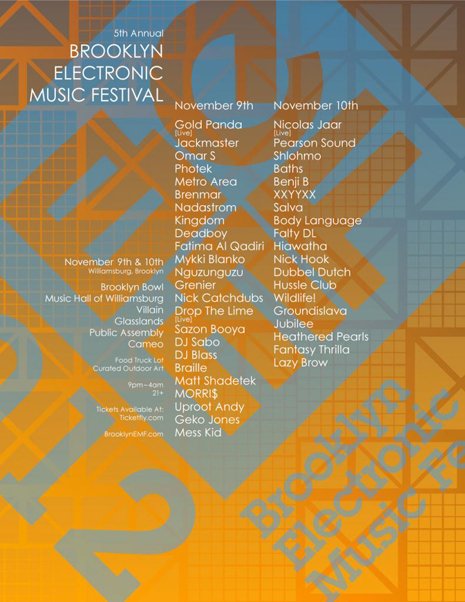 For the fifth year running, the Brooklyn Electronic Music Festival returns to our fine borough for two nights of high powered dance music and all manner of fine bleepables. 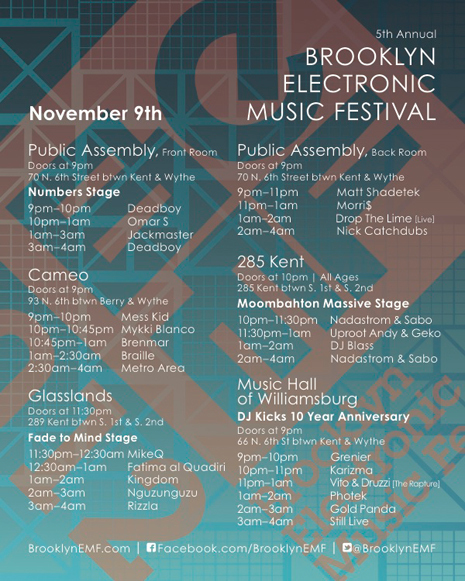 Check FG fam Nick Catchdubs, Nick Hook and Kingdom alongside Nadastrom, Benji B, Brenmar, Salva, Metro Area, Jackmaster, Photek, Drop The Lime and many, many more! 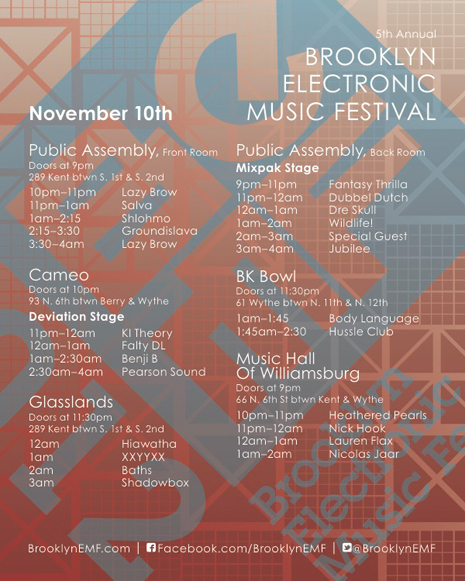 Get your festival passes here, and check full lineup details at brooklynemf.com (or in this handy press release if you so desire).